We want you to be completely satisfied with your custom clothing and try to provide as much information as possible for you to make an informed purchase. 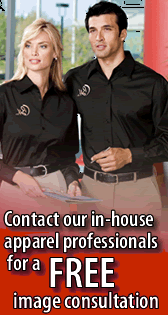 For sample products, returns are accepted within 30 days of purchase at no cost. If samples are not returned within 30 days, the cost will be applied to your order. If products have been embellished they may not be returned. Please ensure you are completely satisfied with proofs and samples prior to placing your order..